Who does not love great food while on vacation? 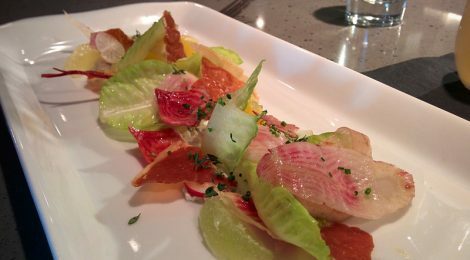 When travelling to Phoenix, Posh is a must-stop restaurant in the Scottsdale area for any foodie that loves a unique dining experience. Of course, it also gives me and excuse to use my Fuji X100S camera in a restaurant. The concept for Posh is very simple: They provide you with a menu in which you cross out any food items or preparation style you would not be comfortable consuming. The chef then improvises your entire dining experience, much like an episode of Iron Chef. Every plate that arrives is a surprise. Even though we ordered a 7-course meal, portion sizes and timing were adequate to ensure that the dining experience left us satisfied, but not over the top full. If visiting Posh in small groups, we recommend sitting at the bar where you can watch the chefs prepare and plate your meals. 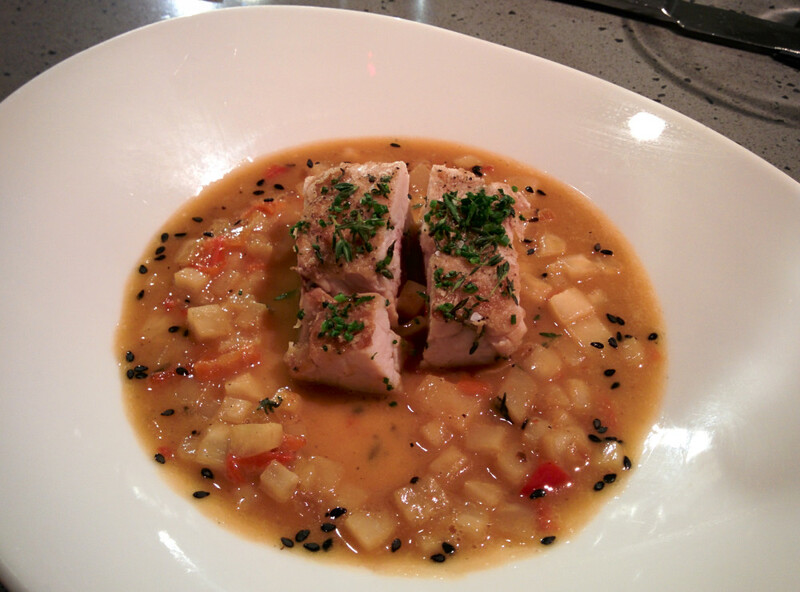 The following photos describe our last food experience at Posh in winter 2014. We drove 26 hours from Edmonton AB Canada to Scottsdale to enjoy this wonderful restaurant. 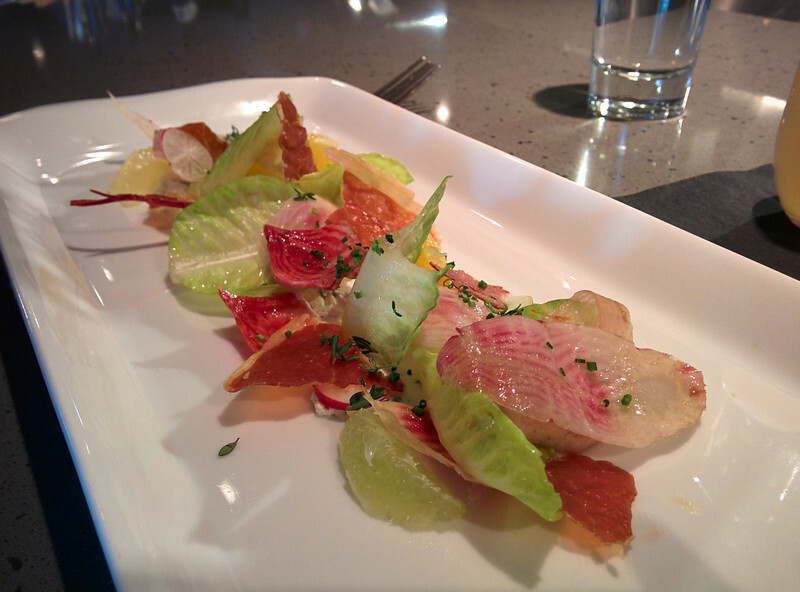 Citrus beet salad with crispy prosciutto. 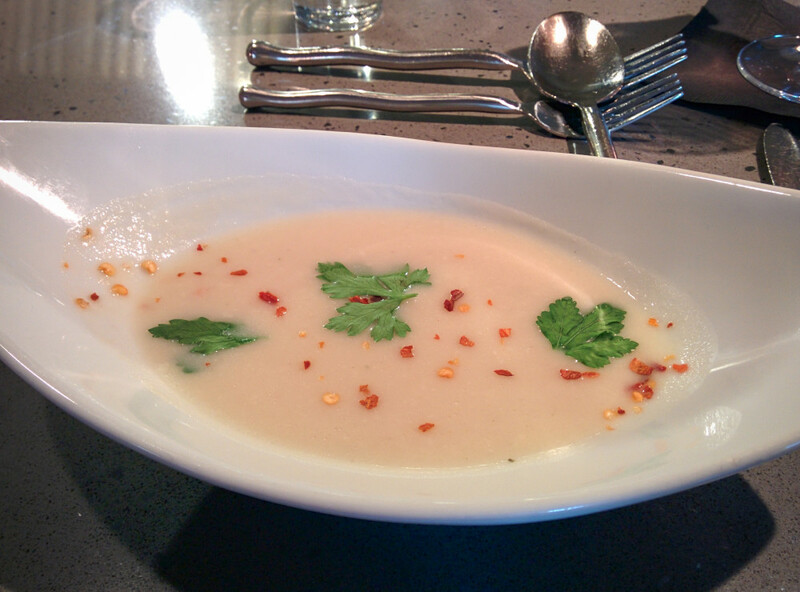 Salted cod spicy potato soup. 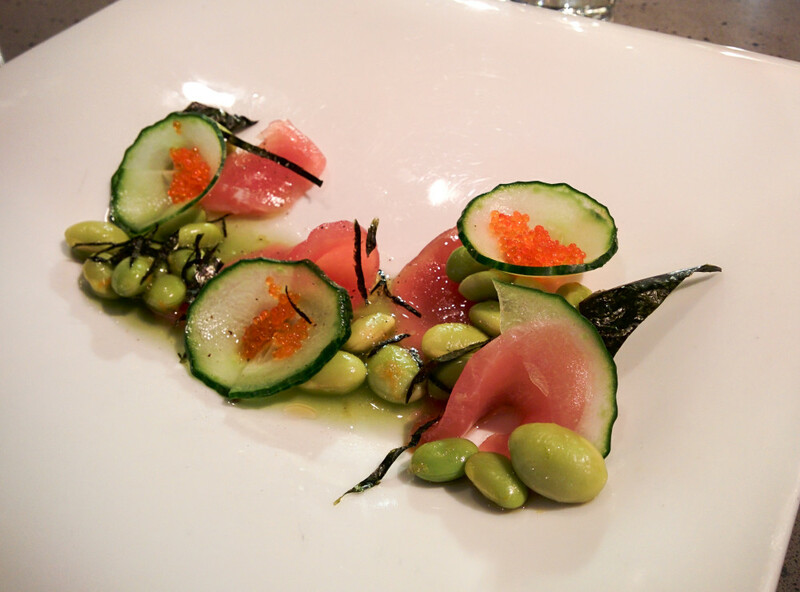 Ahi tuna cucumber and edamame salad. 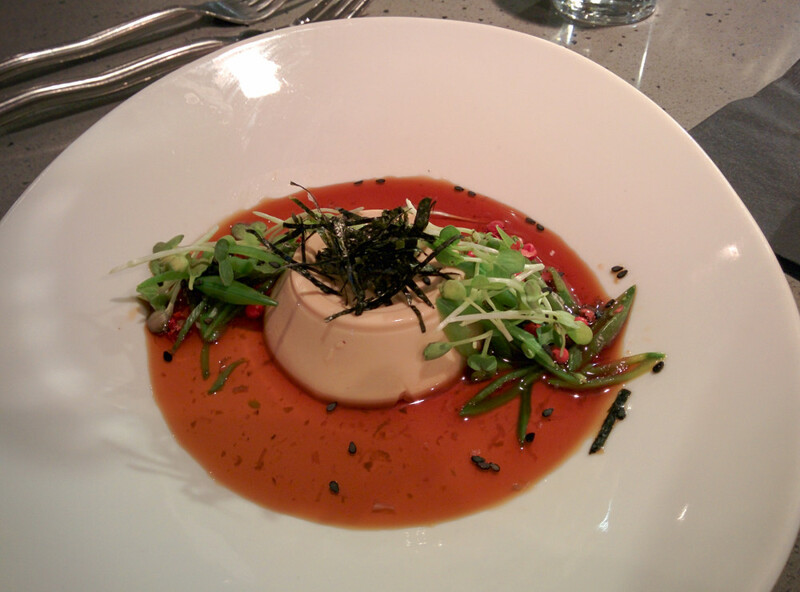 Uni panna cotta in pink peppercorn sauce. 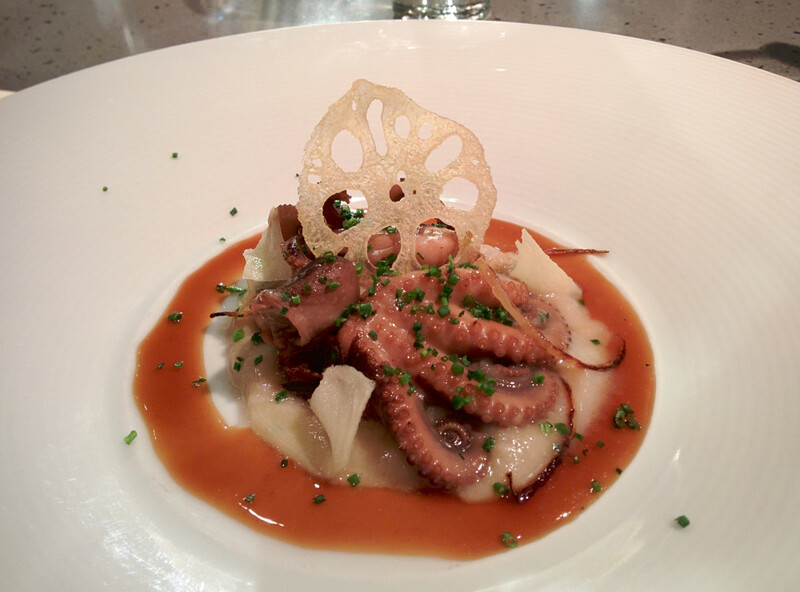 Octopus, buttered leeks and a lotus crisp. 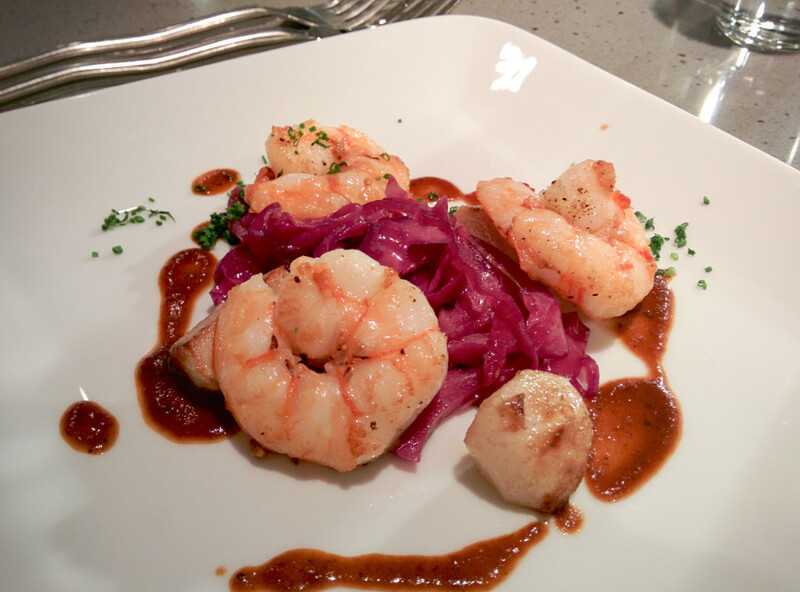 Shrimp over red cabbage and turnip in a demi-glace sauce. 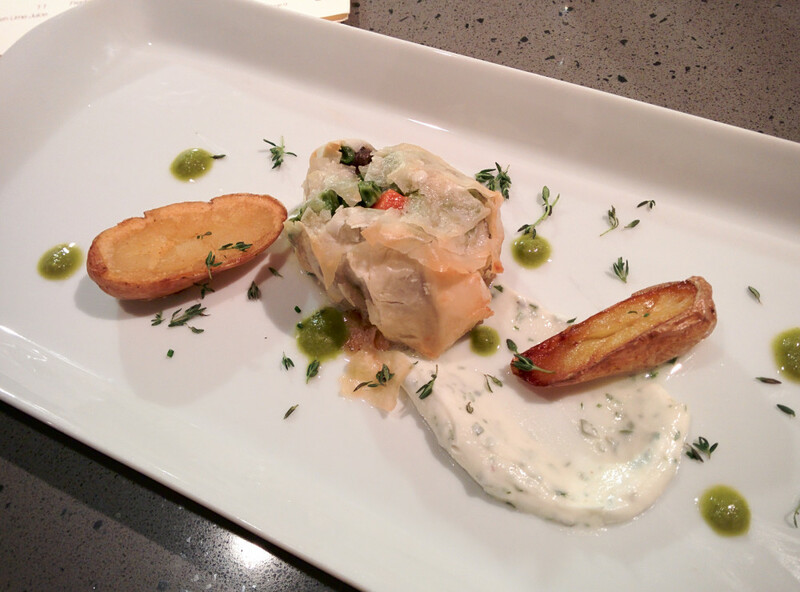 Escargot, tarragon, and garlic cream sauce. 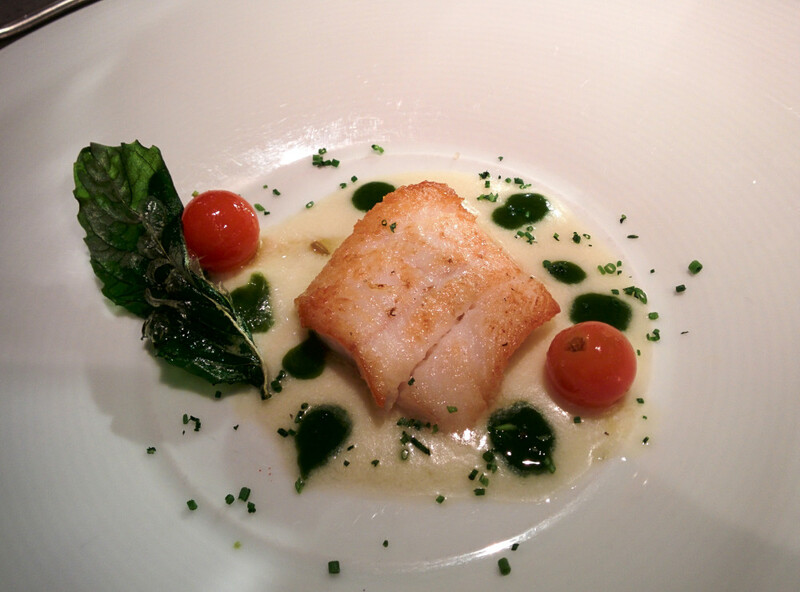 Sole in parmesan fondue sauce and deep fried basil. 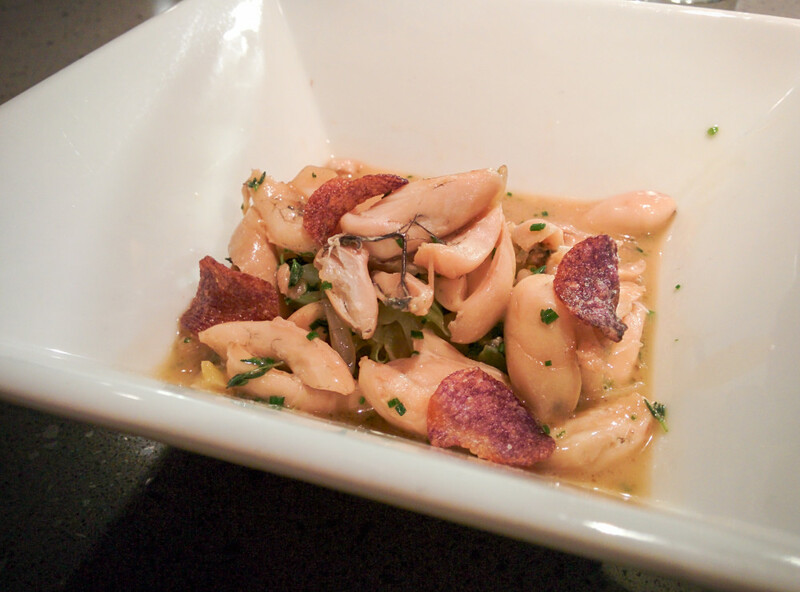 Veal sweetbread with Kung Pao sauce. Frog legs in zucchini sauce topped with purple crispy potatoes. 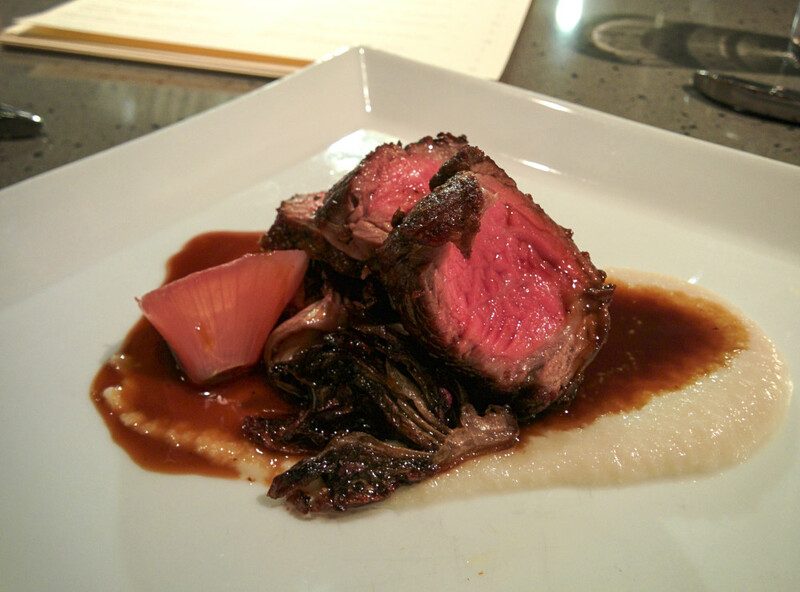 New York strip steak on a cauliflower puree. 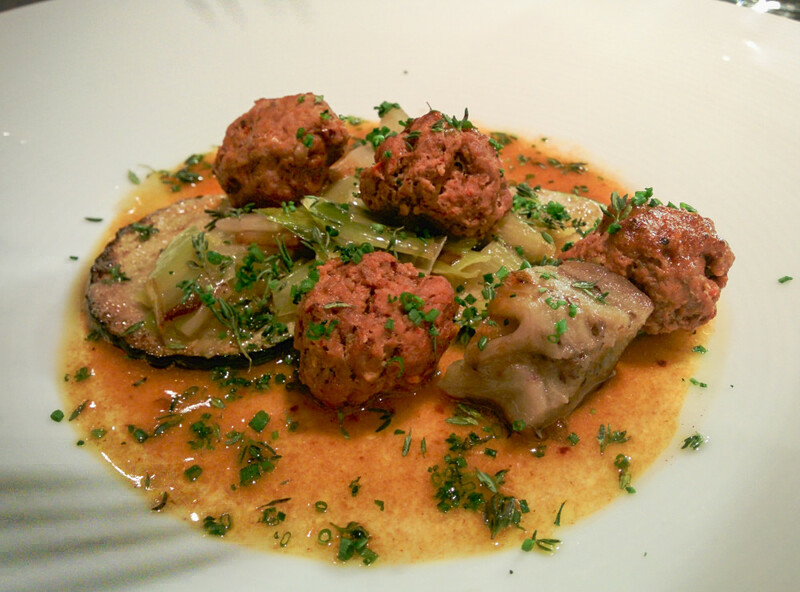 Lamb meat balls with leeks and zucchini in tandoori sauce. 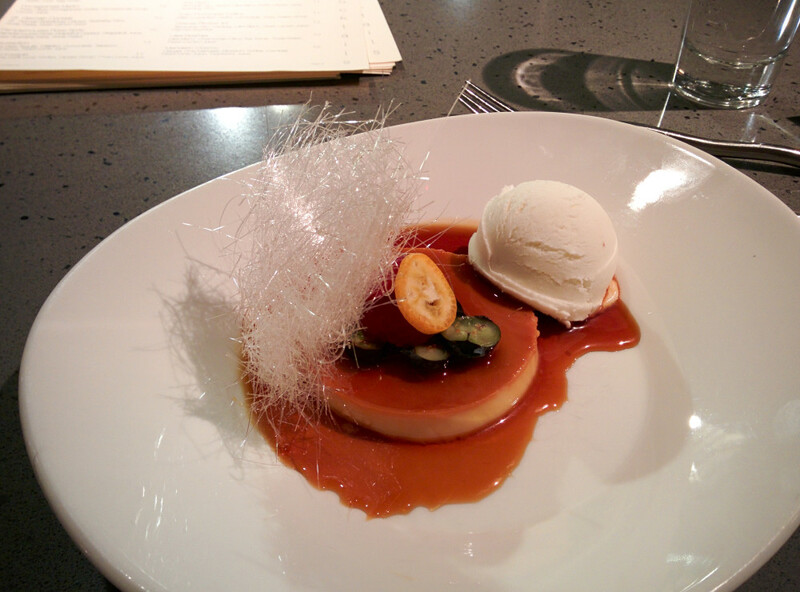 Creme caramel with kumquat and fresh berries on top. 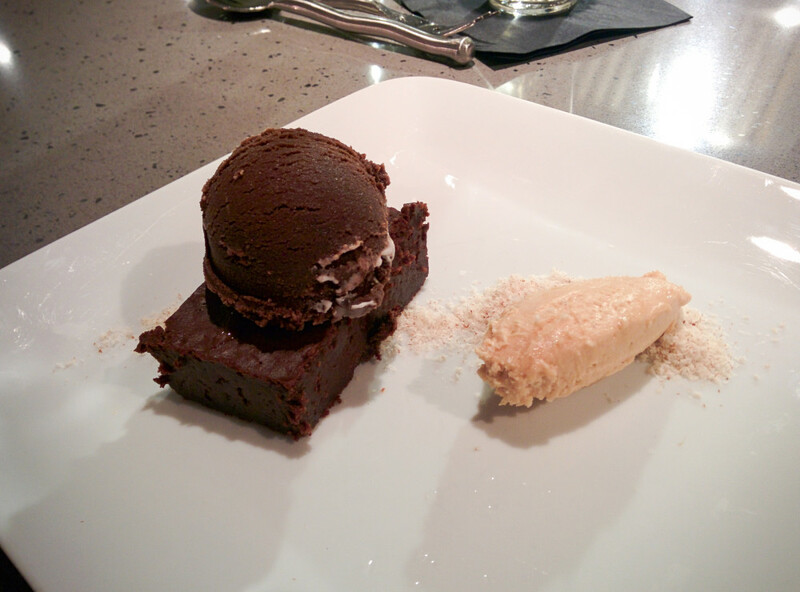 Chocolate cake with chocolate almond ice cream and peanut butter mouse. 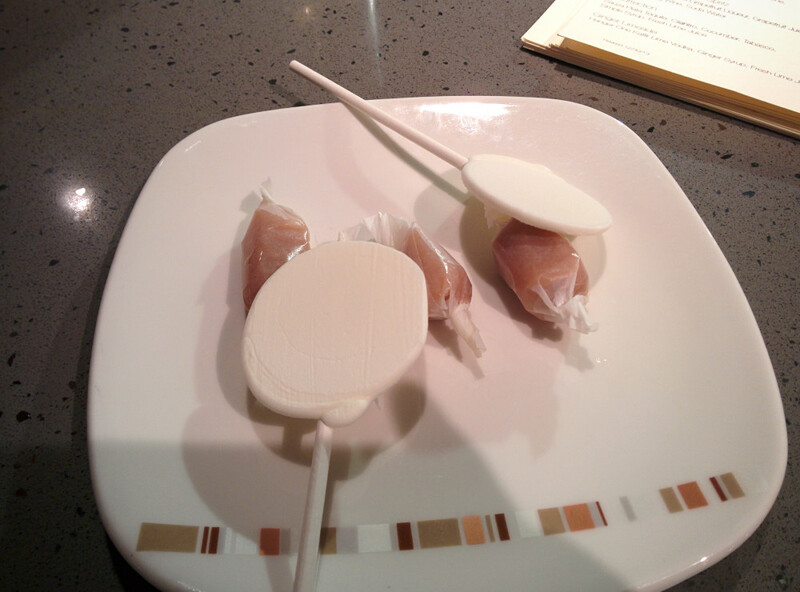 Taffy and frozen yogurt for dessert. Reservations are highly recommended and within a short walking distance from the Fashion Square shopping area.